Is it here to stay or has eBay had its day? 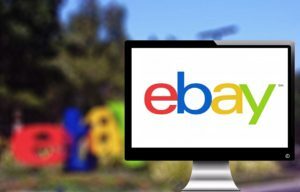 According to data by Statista, in the first quarter of 2018, eBay had reached 171 million active users. A far cry from its humble beginnings in the living room of Pierre Omidyar where it started its life as the online auction website AuctionWeb in 1995. 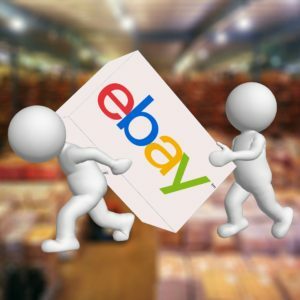 The success of eBay has been based on its ease and convenience of use, instant access to thousands of different products and the protection offered to those who use its platform to buy and sell. It’s also a brilliant way to find the weirdest things you’d never find anywhere else. 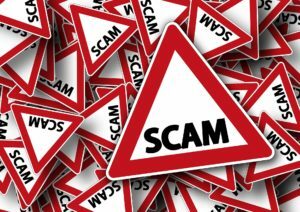 Unfortunately, times have changed and there are increasing number of fraudulent claims by those who blatantly manipulate the system. In its attempts to protect buyers from unscrupulous transactions, eBay has instead left sellers at the mercy of scammers. As a result, a marketplace of simple, honest and convenient transactions is fast becoming a thing of the past. So how is eBay dealing with this? Not very well from where I’m standing with eBay siding almost always in favour of the buyer and it’s almost impossible to argue your case. There are countless cases on the eBay community forum of unfairness in the way eBay has dealt with various issues but I thought I’d also ask some of my fellow bloggers to share their own experiences. Here is what they had to say about being a buyer and a seller. Emma also has an excellent post about what to do when an eBay buyer opens a case against you. Take a look by clicking here. “I recently sold a microphone, which had minor damage. I took numerous photos and went to great lengths to describe it. I also had multiple conversations with the buyer discussing it. He returned it saying he thought it was a newer model, even though I’d not specified a model and had provided plenty of photos showing it. …………. He then claimed the damage was “really bad” and despite providing all the emails to show he had seen it and discussed it, he was given a refund as it was “not as described ” leaving me £20+ out on postage. Helen has a whole chapter on eBay in her book How to Complain: The Essential Guide to getting Refunds, Redress and Results where you can find lots of top tips and advice for buyers and sellers alike. You can get your copy from Amazon by clicking here. The security eBay offers those who use its service has for a long time been its strength but if that no longer exists or is undermined in any way, then what’s the point? It is most definitely not what it used to be and there are lots of alternatives out there, which do not incur the same level of costs and offer an equally convenient and easy platform for buying and selling. Ultimately, can eBay adapt its judicial procedures accordingly to deal with the new challenges posed by fraudulent users or will the previous success of the protection it offers, eventually be its downfall?